One more winter has come with freeze and biting wind, and we have been busier when the pace of life seemed to slow down. We shrink a little bit because of the cold but out there, there are still plenty of poor souls, who need to be warmed up. Unfortunately, the flood disasters continue to happen make it more difficult for the life of mountainous people. And Kheo hamlet is one of the areas that suffer the most disastrous consequence from the flood in the previous October. 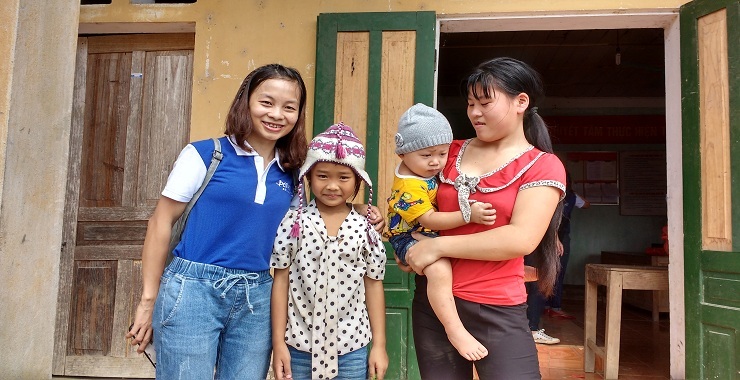 Located in Yen Thuong ward, Cao Phong district, Hoa Binh province, Kheo hamlet is 100km far from Hanoi and is home of 43 Muong ethnic families and 35 among them in extremely poor condition. Asiatica foundation is always concern about the privation of our compatriot, so we decided to organize a volunteer trip to Kheo hamlet before the 2018 Lunar New Year. Our people need both physical and mental support to step by step rebuild a more wellbeing life. Join Asiatica Foundation to support Kheo hamlet’ people in this activity.